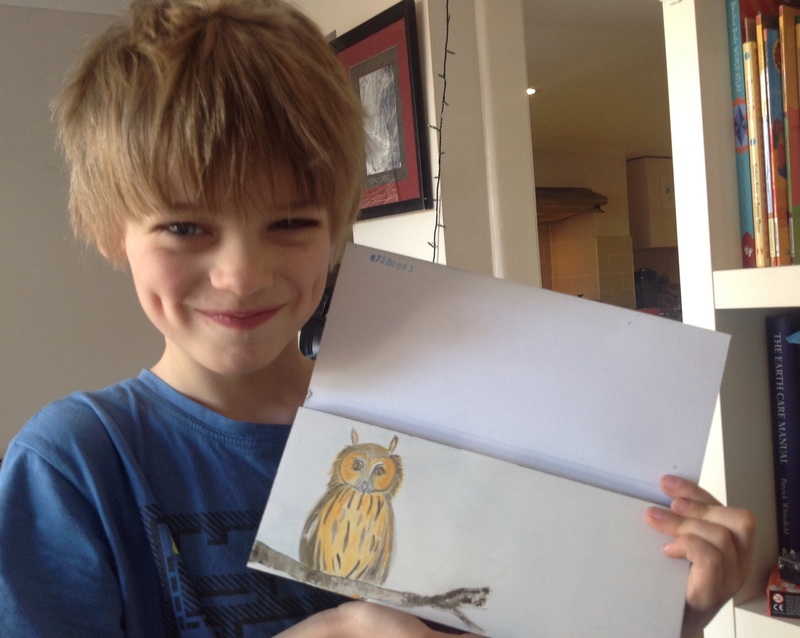 He wants to keep it so he can “have a look at it whenever he wants to”, so I said I’d frame it and put it in his room, amongst his personal collection of postcards and images of cats and owls – Since he was born, He has been fascinated by anything owls and cats related and seems to attract them his way too! 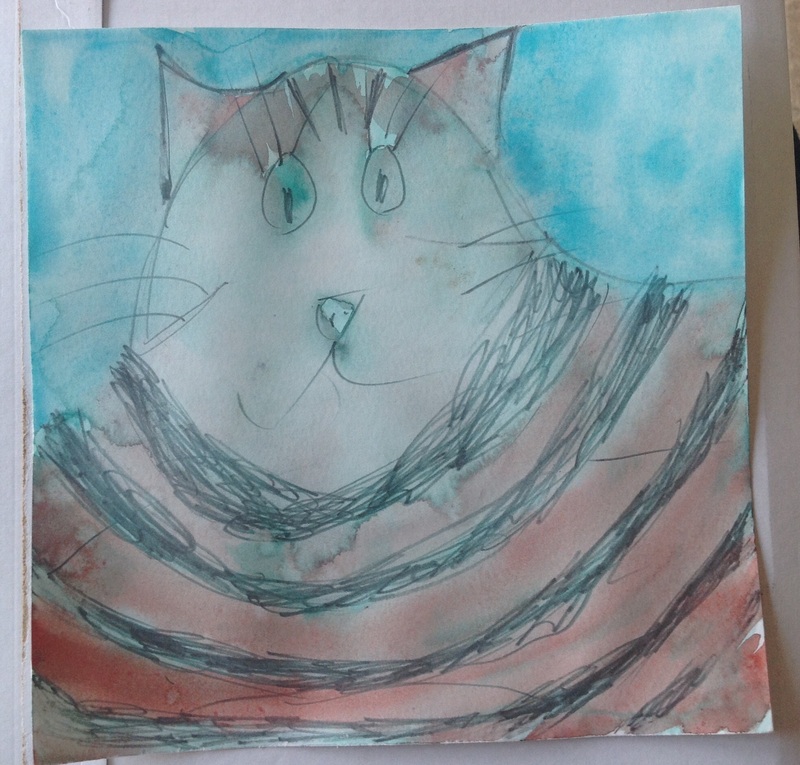 But upon reflection, He agreed that we would keep a photo of it and send this crazy cat to France… for Mamie’s birthday. ← Slowly, slowly I’m drifting….